I want to thank all my customers who “Found Me on Thumbtack”. Thumbtack is a great marketplace. It allows professionals like me to be introduced to people like you who need services. For individuals who need something its great because it saves time. Qualified professionals are reaching out to you rather than you having to chase us down. Thank you Thumbtack for a great service. Thank you to my Thumbtack Customers for your business. Please continue to use Thumbtack for whatever you may need and share my webpage and Thumbtack Profile with anyone who needs an affordable photo booth. Valentines was a time for celebrating at the Sacred Heart of Jesus School in Boulder Colorado last Friday the 13th. No bad luck here just a lot of fun. 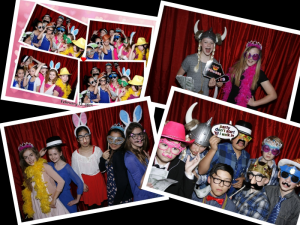 How would you like to have a professional photo booth experience your party for as little as $175.00? Perfect for graduation parties, birthday parties, office parties, affordable for any party with as few as 8 to 10 people – its the Party Booth. 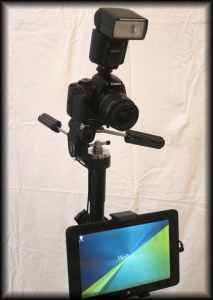 Party Booth is a small lightweight, take home photo booth with a 10 inch touchscreen tablet. Party booth is so easy to use, you don’t need an attendant. You can still get instant lab quality prints or you can just send the photo to your phone or email. You can use your own DSLR camera and save even more. Call today to invite Party Booth to your next party.